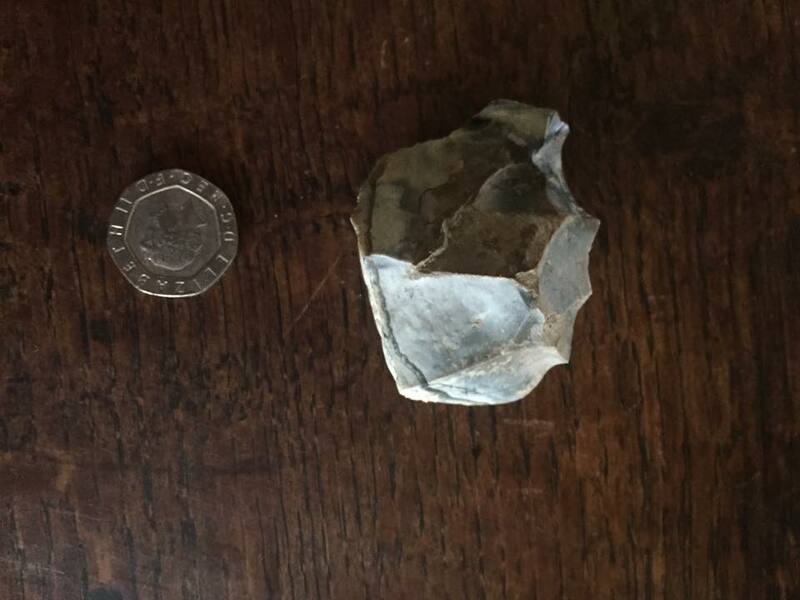 Signs of settlement here go back to the Neolitich (about 5,500 years ago), with the example of worked flint pictured below being and found in 2017 being the first sign of human activity here. Slightly later, in the Bronze Age, a barrow was built to the east, and localy, in Iron Age a significant settlement was estabilshed at at near by Burry Walls. The manor has been in continuous existence and occupation since before the Norman conquest. The first known owner being Britric the Saxon, brother of Edric, last Ealdorman of Mercia. The Anglo Saxon chroniclers were not fans... describing him as fleeting, ambitious and proud and he was -- with his brother -- slain by King Cnut in London on Christmas Day 1017. 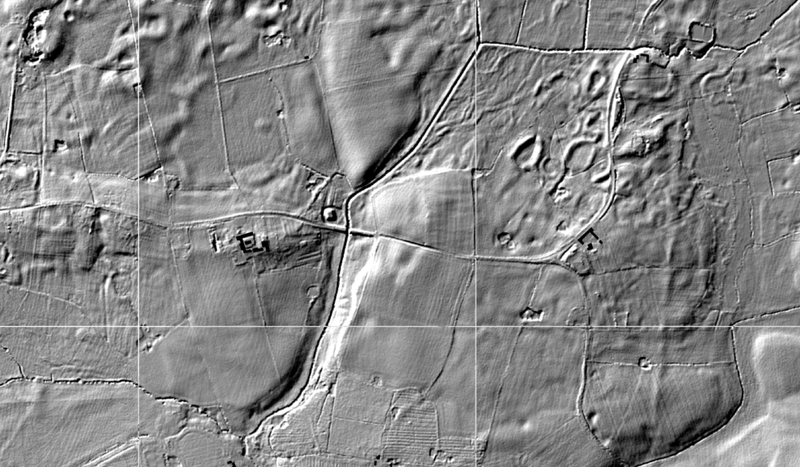 After the Conquest of 1066, during the turbulent anarchy of King Stephen and empress Matilda in the 1130s, and fort was built close by the manor to the north: the site of which is still visible to the north east of Soulton Hall -- its remains are strikingly visible to this day and the scale is expressed in the video below. At this time the manor of Soulton belonged to King's Chapel at Shrewsbury Castle, granted by the Earl of Shrewsbury. The Castle Chapel transferred the manor to the Kynaston family sometime in the 11th century, and they in turn gave occupation to the de Soulton family. There was a dispute about this arrangement. which reached the kings courts at Westminster in the late 1200s. The lawyer for the claimants, a man named Yvo, ended up with the manor, and became of the first MPs for the county. The earliest surviving deed for the manor is dated 1399. Shortly after this a further deed survives, which addresses a boundary dispute, and rules (amusingly to modern ears) that: the boundary shall go from the bend in the river, to the pile of stones, to the damaged tree. 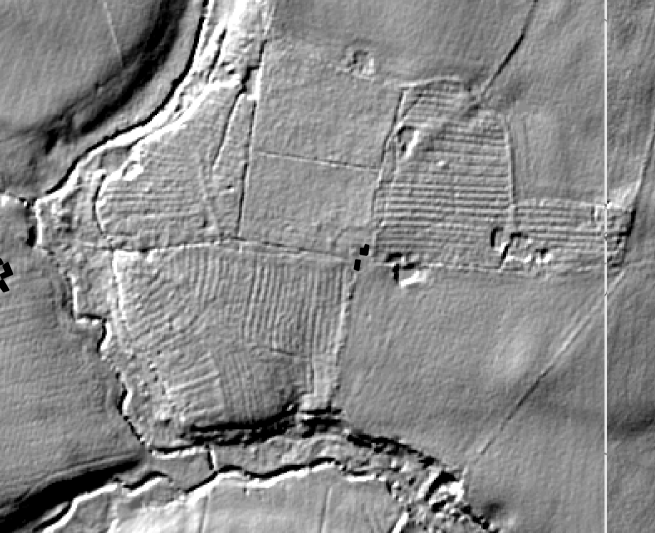 It is thought that the remains of a deserted medieval village are located to the north of the hall along Soulton Road (the road may have moved south at some point after the 1100s). The manor was purchased in 1556 by Sir Rowland Hill -- the first protestant Lord Mayor of London (1549). He remodelled the hall and extended it to the building that can be seen today. In 1668, his descendant, Thomas Hill, High Sheriff of Shropshire and a friend of Samuel Pepys placed his marital coat of arms above the front door. Soulton Brook was used by the Duke of Bridgewater to trial the creation of canals in the 18th century. During this time the gardens were immense - today we have a Tudor walled garden which is by no means small, but in thse days the garden whould have stretched for hundreds of meters to the south and east and, if you refer to the LIDAR images above you can see features still discernible off to the south and east in what are now fields within the farm land. In the centuries since the stewardship of this place has continued peacefully with the devolpment of an early model farm in the 1700s and other quite improvement. The video below shows a remarkable collection of Victorian pictures of life here.